planned growth-related projects from System Development Charges, how do we resolve the structural deficit in capital funding needs across our parks system? Equitable access As inequities in our community at large continue to grow, how do we manage for the impacts of the housing crisis in our parks? And how do we resolve the stark differences between neighborhoods that have access to parks and the climate resiliency provided by the urban canopy and those that don’t? With this Plan and your help, we will reconcile these challenges as we map toward long-term financial sustainability. As our 2020 Vision comes to a close, delivering on this strategic plan lays the groundwork for our next big vision effort. We will use the results of initiatives in this plan to make long-term recommendations in our next vision plan. This Strategic Plan is a reflection of our values—an abiding commitment to our natural resources and our community. My deep thanks go to all who contributed their time and talent in crafting it. I look forward to working with each of you, every day, to deliver on it. Thank you for all that you do. Nestled in a mixed-income and diverse neighborhood in east Portland, the recently opened Luuwit View Park stands at the threshold of highways and farmland. With a modern variety of accessible park amenities and expansive views, this park, once promised 40 years ago, offers the best of what our community should expect from a parks and recreation experience. populations, fully addressing our $43 million annual major maintenance need, and ensuring safe environments for our employees and customers. This 2017-20 Strategic Plan will keep us focused on addressing immediate needs based on the current environment while also building our capacity for the future and guiding our foundational work for developing the next long-term Vision Plan. 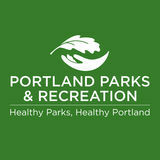 PP&R’s Mission Statement The mission of Portland Parks & Recreation is to help Portlanders play—providing the safe places, facilities, and programs which promote physical, mental, and social activity. We get people, especially kids, outside, active, and connected to the community. As we do this, there will be an increase in the wellness of our residents and the livability of our city. Assets & Development The Assets & Development Division is responsible for planning, new park design and construction, the Park Replacement Bond program, asset management, and centralized maintenance and repairs, as well as oversight, preparation and administration of the bureau’s Capital Improvement Plan. Operations and Strategies The Operations & Strategies Division collaborates and coordinates with local and regional partners, provides policy direction to the bureau, engages the public in decision making processes and volunteerism, coordinates marketing and communications, and provides customer service and park security. This division also manages the internal and external bureau finances, including budget development and financial reporting and oversight, fundraising, grants and partnerships, workforce development and bureauwide training, emergency management, performance and analysis, property acquisition, and business development. Urban Forestry The Urban Forestry Division is responsible for the planning and management of the city’s urban forest and tree assets. It is overseen by the City Forester. These responsibilities include tree maintenance operations, and around-the-clock emergency service for fallen trees in public rights-of-way. Responsibilities of Urban Forestry also include education and enforcement of applicable city regulations covering public and private trees such as Title 11. Urban Forestry is also responsible for developing and promoting forest stewardship among city residents as well as the longterm planning of the city’s forest resources. Equity & Inclusion In addition to the five divisions noted above, PP&R also has an Equity & Inclusion team. The Equity & Inclusion Manager advises the Bureau Director and works collaboratively with the entire PP&R organization, as well as internal and external advisory committees, to ensure policies, programs and services are culturally responsive and meet the City’s racial equity goals. The Equity & Inclusion team developed the bureau’s Five-Year Racial Equity Plan, and coordinates extensively with the City’s Office of Equity and Human Rights and Bureau of Human Resources. Five Year Racial Equity Plan In 2016 PP&R completed a Five Year Racial Equity Plan to guide its equity initiatives. The 2017-20 Strategic Plan incorporates key initiatives from the Five Year Racial Equity Plan that are scheduled to be implemented over the next three years. Initiatives that originate from the Racial Equity Plan are noted within this document with an asterisk (*). Develop maintenance standards for parks, trails and natural areas Development of park and trail maintenance standards will serve as a guiding document for maintenance of the parks and trail system. This work will also include an assessment of the regional trails system. Implement the Sustainable Landscapes Initiative Continuing work started in the prior strategic plan, this initiative begins the implementation of innovative and ecologically sustainable landscape management practices at several pilot sites. Implement the Renew Forest Park Initiative Renew Forest Park is a 20-year effort that includes three critical pillars: Restore, Rebuild and Reconnect. In the next three years, PP&R will continue its schedule of ecological restoration treatments (Restore), address emerging infrastructure needs in the park (Rebuild), and improve regional access to the Park (Reconnect). Low-Canopy and Low-Income Neighborhoods Trees in the urban environment provide a multitude of benefits, such as supplying food and habitat for wildlife, purifying air, abating noise, supplying shade, increasing privacy, cooling air temperatures, intercepting stormwater, and reducing runoff. PP&R’s tree planting strategy aims to promote equitable access to trees and urban forest services through tree planting efforts in the lowest income neighborhoods. Tree Canopy Cover is Increasing To monitor trends in Portlandâ&#x20AC;&#x2122;s urban forest canopy, Portland Parks & Recreation has established a protocol for measuring canopy change. From 2000 to 2015, there were statistically significant increases in canopy cover citywide and in commercial, industrial, and residential zones. Development of an equity-focused programming model for all Arts, Culture, Summer and Urban Park programs and services* Establish a programming model rooted in equity that can be implemented across the Arts, Culture & Special Events departmentâ&#x20AC;&#x2122;s programs and facilities, including an emphasis on internal and external partnerships. This model will emphasize the importance of culture in capacity-building within communities, and bridge-building between communities. This will form a foundation for expanding quality, affordable, and culturally relevant arts programming throughout the recreation system. This model should address the successful operation of Gateway Discovery Plaza and the achievement of a sustainable model for Interstate Firehouse Cultural Center.Â Develop a plan for increasing participation by people of color in Aquatics programs* Initiate a long-term plan for increasing participation by people of color in all levels of Aquatics services and employment, including a specific focus on making water safety awareness and swimming skills more widely available to all Portlanders, especially communities with historic barriers to aquatic recreation. Implement an updated and revised scholarship policy and fiscal process to ensure access to Recreation programs* Complete implementation of revised Scholarship Policy, including establishment of scholarship budget, participant-centered application process, equity-driven refinements to the policy, and active budget management. Develop a comprehensive data collection effort within Recreation programs to better understand the populations served by PP&R services* Re-initiate the Parks Race and Ethnicity Program (PREP) to resume data collection about customer demographics and use. Better information about our existing customer base will support more effective and culturally responsive programming, customer service and outreach. Create a full cost recovery plan for preschool by the end of FY 17-18 As directed by City Council in the FY 201718 budget note, the plan should include a scholarship component, which will be funded with an increase in program fee revenues. Outreach for the scholarship program should be targeted at communities of color and children with special needs. Develop an action plan for improving the financial health of the City’s Golf operation* Develop culturally responsive outreach, training, and services to introduce more Portlanders, specifically women, people of color and youth to the benefits of golf. Link this specific outreach strategy to a financial plan that identifies participation levels, revenue generation and operational models that are needed to improve the financial sustainability of the golf program. Community Centers: E A G R Who’s in our Service Area? E V P O R T L D ’ SPlan A ATheNStrategic focuses our recreation services towards the city’s most vulnerable populations. Chart shows demographics for people living within 3 miles of each community center. Update and establish new design specifications for park facilities This project updates the bureau’s Specifications Library to provide uniform contract guidelines that reflect PP&R’s product, installation and quality preferences. In order to improve the efficiency of future maintenance, this update will be a collaborative effort between project managers of new developments and day-to-day maintenance staff. Major Maintenance Funding Needs Map This map provides Capital Major Maintenance needs by park site over the next five years. Not all of these needs are funded. Safe, functional and reliable recreation experiences through effective management and maintenance of all park facilities Develop assessment standards for all PP&R assets Develop assessment standards and protocols that are specific to understanding asset condition, resiliency, sustainability and other aspects. Standards are to be developed for all of PP&R’s highpriority asset categories. Major Maintenance Funding Needs Over Time PP&R estimates $43 million is needed annually over the next ten years to address major maintenance needs. The Parks Replacement Bond provides a partial solution, but a long-term structural problem remains. Develop energy savings performance contracts to achieve energy savings and facility improvements Seek and implement proposals from firms identifying potential facility improvement projects that achieve energy savings and maintenance improvements. Resources to support the work will be from future energy savings. Increased diversity and training of our existing workforce STRATEGIC INITIATIVES Develop an improved hiring process for seasonal employees* Streamline the hiring process and increase hiring, retention and promotion of a seasonal employee workforce that reflects Portlandâ&#x20AC;&#x2122;s diverse populations and improves our ability to develop culturally responsive services and programming. Develop a bureau training plan to guide employee training efforts* Provide employees with training opportunities to assist them in career development with PP&R.Â Identify and implement tools that will assist supervisors and managers in supporting employees. Develop onboarding process and procedures for new employees* The development of onboarding tools will provide a formal process for integrating new employees in the organization with an intention to develop the necessary skills, knowledge and behaviors to become effective contributors. Park Safety Calls related to camping are accounting for an increasing percentage of all calls for service to PP&R’s Park Ranger program. In a recent community survey with 2,000 Portland residents, 30% indicated concern for safety as a barrier to visiting a park. A safe environment for all PP&R employees and customers STRATEGIC INITIATIVES Develop a program focused on health, safety and environment The new program will be responsible for supporting the full spectrum of compliance and risk management programs. This includes Occupational Safety and Health Administration (OSHA) regulations and risk reduction for highly specialized environmental exposure control programs (lead, radon, asbestos). These programs are essential to prevent worker on-the-job injury, assure regulatory compliance, and reduce public exposure to the health and safety risks inherent in a diverse and aging parks and recreation system. Develop an employee training curriculum related to security and safety	Utilizing the bureau’s Training Plan, identify and prioritize the necessary training to meet regulatory compliance and proactively address emerging training needs across all divisions. Implement the SAFE Parks task force The Safe Alternatives For Employees (SAFE) Task Force will make specific recommendations for immediate and short-term strategies to enhance safety for employees. SAFE will be comprised of employees throughout PP&R. Create an updated Graphics Standards Manual that includes templates for use by staff* Update the current PP&R Graphic Standards Manual to be more relevant to our current branding needs. This will include sections on marketing, designing and communicating with different cultures. The new manual will include form, colors, fonts, photos, templates, and an explanation of best practices for communicating with communities of color, immigrants and refugees. Implementation of a Customer Relationship Management (CRM) System across PP&R Teams This database tool will enhance relationship stewardship and management with external constituents, friends and partners across all divisionsâ&#x20AC;&#x201D;providing a system-wide consolidation and update to existing data on individuals and organizations who engage with PP&R in a variety of capacities. The CRM will provide the ability to track metrics, generate reports, and crossreference information within teams and between teams to better inform collaborative efforts and external relationships. Develop a bureau-wide marketing plan that improves access to programs for underserved populations while also sustaining revenue growth* PP&R will develop a five-year marketing plan to direct the overarching communications and promotions of PP&R. This plan will include steps for reaching out to underserved populations, and understanding how PP&R can better serve these communities with our programs and services. This plan will also include strategies for serving and retaining our current customers, growing new patrons by looking at customer needs and wants, and identifying niche opportunities and goals. Update and operationalize an ongoing assessment of staff language skills* This assessment will provide the bureau with information to evaluate needs as it relates to hiring multilingual staff and utilizing translation services. Strengthen partnerships with community-based organizations to develop consistent standards and best practices for outreach to communities of color* This initiative will involve bureau divisions collaborating on shared goals, consistent standards and best practices to conduct outreach and develop processes and forums to get formal feedback from culturally specific community-based organizations on the efficacy of the bureauâ&#x20AC;&#x2122;s outreach efforts. Develop a language access plan for the bureau* This project involves convening a project team across divisions to develop an estimated budget and plan based on the cost of compliance with Title VI requirements. Expand inclusive customer service strategy across the entire bureau* This initiative involves training the entire bureau on the use of Language Line and tracking the number of foreign language speakers in the bureau. Completion of a Level of Service for Parks and Natural Areas* This project identifies existing levels of service at Parks and Natural Areas and projects future needs based community priorities and cost. Completion of a Level of Service for Community Centers and Pools This project identifies existing levels of service at all Community Centers and Pools and projects future needs based community priorities and cost. Completion of a study that identifies the comprehensive economic impact of park, recreation and urban forestry services provided to the local community Numerous studies have identified the economic value that park and recreation systems generate for their local communities. This research focuses specifically on the benefits that result from park, recreation and urban forestry services provided by PP&R. Complete a demographic forecast that helps to guide the delivery of park, recreation and urban forestry services within the community Portland continues to experience a changing and growing population. 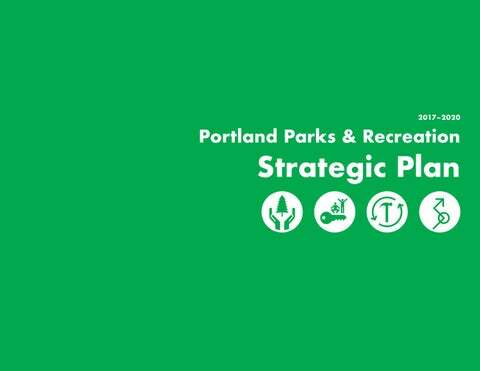 This project will provide a 15-year forecast of expected demographic changes within Portland’s neighborhoods to prepare for planning of the future of park and recreation services. Update of the bureau’s Cost Recovery Policy An update of the bureau’s Cost Recovery Policy will provide guidance for the level of subsidy among the bureau’s various feesupported programs. This will inform how the bureau implements a more strategic approach to pricing while also maintaining access for vulnerable populations. Develop a five-year financial plan to enhance long-term fiscal sustainability without limiting access for underserved populations This initiative includes a five-year financial forecast that projects out future financial needs in relation to likely available resources. Once projected funding deficiencies are identified, strategies will be developed to meet maintenance, service and growth objectives. Development of an updated longterm vision plan for PP&R* Using information from the initiatives noted above, facilitate a public involvement process that provides additional guidance and results in the development of a long-term vision plan to guide PP&R beyond 2020.